Sister Maureen O’Brien, director of Campus Ministry, is now in her second year serving at Seton Hill University (SHU). It seems as though everyone on campus knows Sister Maureen. For those of you who do not, she is a wonderful person. Dedicated, inspiring and often times hilarious, Sister Maureen has definitely reshaped SHU during her time here. She first received her calling to come to SHU while still teaching at Greensburg Central Catholic. She became a member of SHU’s staff during their search for campus ministry.She is now fully devoted to this school and has been involved in a number of student-initiated projects. These include Service Saturdays, a volunteer project that takes place every Saturday during Lent and Week With Christ. This features different forms of worship each night for a week. The women’s basketball team has also enlisted Sister Maureen’s help in the Adopt-a-Sister program. While the program was once popular at SHU, it had fallen away to other volunteer programs and efforts. Now, however, it has been taken on again as a permanent ongoing project. 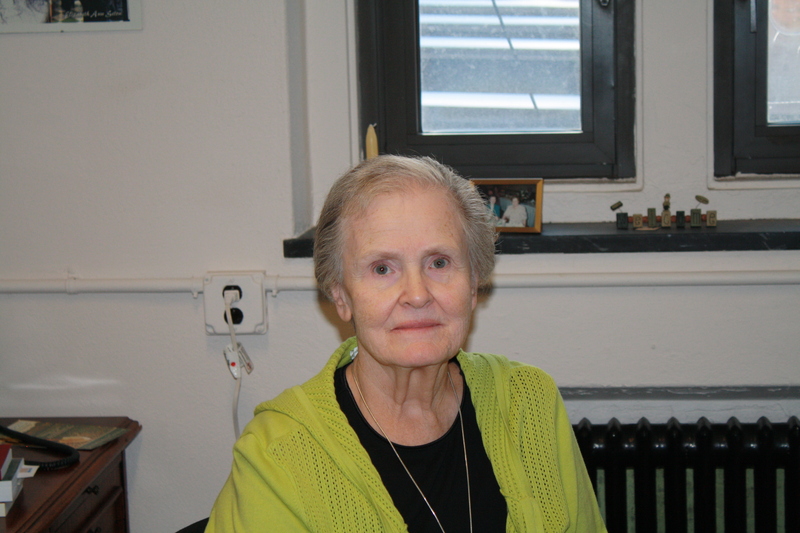 “I am most proud of students’ comfort with ideas and taking them on,” Sister Maureen said. She has many other goals for her career at SHU, including continuing to build up the peer ministry team. There are currently 22 religiously and ethnically diverse members. Regardless of all of the many initiatives Sister Maureen has taken, she still makes time to enjoy recreational aspects of life. She collects glass elephants because her favorite book as a child was “Dumbo.” She felt compassion for the poor elephant in the classic story, though she has admitted that she does not care to have a pet elephant. Her favorite food is Irish scones, and she enjoys downing them with a cup of fresh brewed tea. Continue looking forward to more of Sister Maureen’s initiatives spreading across SHU campus in the near future. Of course she’s terrific! She’s a Sacred Heart High grad!!! I didn’t know Maureen liked scones. We never had them in our cafeteria at SHHS. She is the same girl now as she was then and nobody ever forgot her.